This was one of those products that stays in your Amazon wish list, and every time you buy a book, it sits just below the bar, winking at you, begging to be bought. I have fought the urge for about 2 months, and I said to myself, as a little goal, that if I made the shortlist for “Designer of the Year” for the .net awards, then I would treat myself to it. 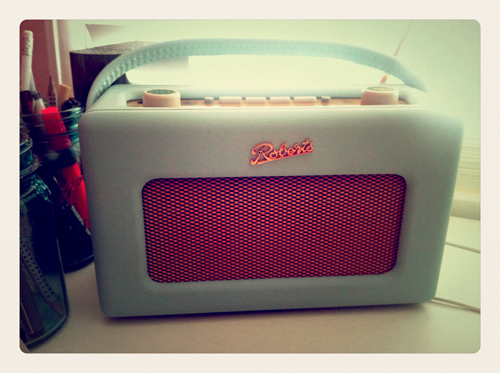 Yesterday was the day I made the shortlist, and to me, just making the list in the first place was amazing, let alone being lucky enough to be one of the final three (along with Mike Kus and Megan Fisher) – so today, I have the gorgeous retro Roberts DAB Radio that I’ve been lusting after. Thank you to each and every person for your vote, it really means a lot to me, even if I don’t win.